The Perfect Male Blog: What Triggers Our Creativity? Creativity is but a word, for which many (if it were tangible) would fight with their lives for it. Still, I am a firm believer that inspiration is like caring for a bonsai tree; too much water and it may flood, too little and it may die of thirst. Nothing truly worth-while ever came from aspiring for the easy way out. Hard work, perseverance, and patience are all a requirement to achieving things that may someday be considered grand. 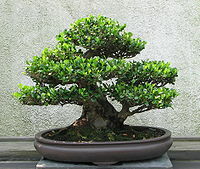 Treat hard work like the watering of the bonsai tree. Not too much, not too little. Sometimes the best benefits of creativity come when an idea which has been bothering you for a while sits in the back of your head and life experience routes you to a different approach. Heres is a list of notable people and their ideas on the source of their own creativity. "You know there’s nothing more inspirational than an old man walking down the street that looks like he’s had the same suit for 50 years. And there's something so timelessly beautiful about that." "I certainly was a fan of Mad magazine growing up, especially the Mad comics – the Harvey Kurtzman ones before it became a magazine." "If you ask me to point on some crucial artistic moments that I have had and that maybe I would return to at the moment of my death, for instance. I don't know. But I would probably choose a certain amount of abstract paintings in the 20th century." "My beautiful wife of 20 years. Yeah, she is. She's actually a dancer, a modern dancer, and yeah actually my wife Fontaine is my first reader, because she's brutal. She's brutal. If something doesn't work, she'll say, "This is really not working," and she won't say it nicely."